FAQs - Try the Auction Option! Here are a handful of questions many clients have asked. Feel free to contact me, anytime, with additional questions and thank you for visiting my website! How do I arrange to have an auction and how long does it take to set up? 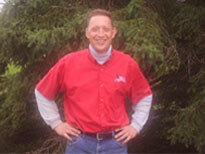 Most important is that you take inventory of the items that you plan to sell at auction. Keep in mind the condition of the items and be realistic about their value. 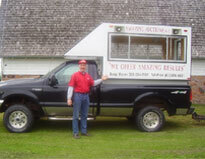 Then call Amazing Auctions (320) 384-7132 to arrange a sales date. We will then review the items with you and help set up cost provisions and time elements to help maximize their exposure. Allow at least 2 or 3 weeks of lead time to allow advertising to take effect. Take some of that time to clean or repair any items to help improve their value. Once it’s set up, how do people find out about the auction? We use several methods to help potential buyers find out about your auction. --Flyers: we will prepare an attractive professional looking flyer advertising your sale. In many markets this is the most effective means of getting the word out to those most likely to attend an auction. --Internet web site: we place information on the internet on this and other web sites to help promote your sale. This is fast becoming a favorite place for people to search quickly for auctions in their areas. --Newspapers, radio and mailing lists: when appropriate we will add newspapers or radio advertisements to help people learn about your auction. We also have a client list of people who like to attend auctions. When something is sold at an auction, who takes care of collecting the money? Our auction clerks track the accepted bids for each item and the bidders number. They will then collect the funds from the buyer and account for all bills and expenses. In general we at Amazing Auctions do not use a buyers premium. This is often a fee added to the price bid on an item at auction either in the form of a set dollar amount or commission basis. We often find most bidders don't understand a buyers premium and may not bid thus reducing the overall price received. What type of equipment is needed for the sale and do you provide it? Other than a location large enough to accommodate the merchandise and people in attendance, Amazing Auctions can provide you with most items needed for the sale. This includes selling tables, boxes for smaller items and wagons or trailers for tools or other general merchandise. I want to sell my home or land at an auction, how do I do that? The experienced people at Amazing Auctions will help you through the steps needed to evaluate your property's value and work with you to get the best possible price in the shortest time. When selling at auction a realistic pricing expectations for the property and proper exposure through advertising will help draw motivated buyers to the sale. Auctioneers experienced in the sale of real estate at auction and through more traditional methods is also important in getting the best value for your property. Absentee Bid-A procedure that allows a bidder to participate in the bidding without being physically present. Absentee bids are usually handled under an established set of guidelines by the Auctioneer or their representative. limiting conditions or amount. The seller may not bid personally or though an agent. (Auction without reserve) - is sold without any warranty as to its condition and/or fitness for a particular purpose. Buyers are solely responsible for examining and judging the properties condition. Also known as "As is, where is" and "In the present." Auction- A method of selling property in a public forum through open and competitive bidding. Also referred to as: public Auction, Auction sale or sale. Auction with Reserve-An Auction in which the seller or his/her agent reserves the right to accept or decline any and all bids. A minimum accepted price mayor may not be disclosed. Auctioneer- The person (or firm) whom the seller engages to direct, conduct, or be responsible for a sale by Auction. This person mayor may not actually call or cry the Auction. Buyers Premium- An advertised percentage of the high bid or flat fee added to the high bid to determine the total contract price to be paid by the buyer. CAI- The professional designation awarded by the NAA Educational Institute to practicing Auctioneers who meet the educational and experiential standards set by the Institute. Client- The party for whom the Auctioneer sells the property, it is often synonymous with "seller". Customer- The party who attends the Auction for the purpose of buying the property offered for sale. Minimum Bid Auction- An Auction in which the Auctioneer accepts bids at or above a disclosed price. The minimum price is always stated in the brochure and advertisements and is announced at the Auction. Reserve- The minimum price that a seller is willing to accept for a property to be sold at Auction. Also known as the reserve price.